With the hubbub going on in Hollywood, we remake our hosts by having an Asian play Mike and a Caucasian playing Peter. 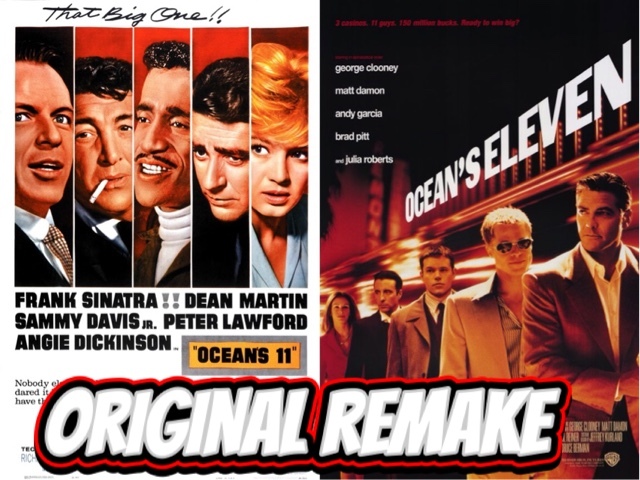 Jokes aside, with Mike absent from this episode, Peter is joined by guest host Seth Heasley from the Take Me to Your Reader Podcast to compare the 1960's Rat Pack filled Ocean's 11 with it's remake Ocean's Eleven. We attempt to pull off the ultimate heist by making you think Original Remake is on iTunes and Stitcher.